For the better part of the last 18 years, I’ve lived and breathed the ‘Mom Movement’. Since forming the first ‘Mom Rock’ band in 1997, with a specific goal of setting the struggles, dreams and desires of mom-culture to music, my band ‘Housewives On Prozac‘ put a whole new spin on domestically intriguing themes. We were wooed by Hollywood, starred in the indie film ‘Momz Hot Rocks‘ by Kate Perotti, played to millions on Good Morning America and wrote and performed our own rock musical called ‘Shut Up And Drive’ in a six week run of an equity production here in New York. When Mamapalooza staked out a place in the stratosphere, we were first out of the gate with a strong mission to create an entire culture of Mom-based business and art. I guess, looking around, we’ve been more successful than I ever could have imagined. Mom bloggers abound. Mom-made businesses are claiming their real estate in the small business and corporate world faster than you can blink. Café Mom has gone on to become a phenomenon, and I have stopped having to describe to people what ‘Mom Rock’ is. 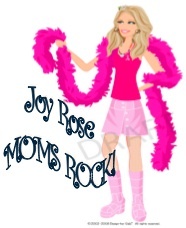 (I sold the saying to Ephemera in 2004 so they could create buttons and magnets that say ‘Moms Rock’). Fast forward to our 14th Mamapalooza Festival season. In 2015 we’ll begin another year of highlighting women’s accomplishments in the area of music, literature, comedy, entrepreneurship and much, much more at events here in New York City and in the media we create online and in print. Most of our work has been extremely exciting. There were years when camera crews and magazine writers followed us everywhere we went. Those relationships have mellowed into long-standing friendships and partnerships with press around the country. The women who formed the core of the original performers and event coordinators have gone on, in most cases to have amazing careers. They have each exceeded expectations and the list is so long: Judy Davids, ‘Rock Star Mommy’, Sue Fabisch, multi-talented Off-Broadway artist, Tina deVaron making Mom Music professionally everyday, Patrice Moerman, who now teaches for the School Of Rock, Tiffany Petrossi of Rockin’ Moms, Jennifer Edwards who writes for the Huffington Post, Alyson Palmer, internationally acclaimed rock star with the band BETTY, and their newly formed non-profit, BETTYRISING, and REW who’s created a weekly internet phenomenon with her ‘REW and WHO‘ show in NYC and so many more to mention. Even the ones I’ve lost touch with are still in my heart. 1) While giving voice to women and specifically mothers has been my life’s work, I am disappointed at how many of those voices have only chosen to join the chorus of consumer directives. When my team sat in the offices of FOX, and they wanted to create a TV show depicting a battle of the Mom Rock bands – winner gets a washing machine, I said no. In case my reasons for that aren’t obvious, I wanted the Mom Movement to challenge stereotypes and empower women. I wanted women to work together to create better family systems and more cooperative collaboration and I wanted women to be economically recognized for the work they perform as mothers. When I see the Mommy Bloggers with their cartoon caricatures on the web-headers, touting mounds of baby advice and discount coupons, I get frustrated with the direction and the messaging. a) Violence against women is still rampant around the world and in our homes. b) Feminism still has a bad rap and we are devoted to changing that. Mothers in particular are seen as “‘virtuous vessels’ who must be good housewives, careful of their stores, and obedient to their husbands.” I am quoting Socrates here. So, whatever lamentations have fallen from my lips regarding the 50’s housewife, are ill conceived. The reality is, we are talking about a collective concept that dates back to 750 B.C. that defines and limits women. c) Mothers don’t get paid for what they do. In fact, they get economically punished. Work-Life Balance continues to be an issue for women in particular. That’s why organizations like Moms Rising, MOM-mentum, and Demeter Press inspire and inform us. The financial issues facing mothers are critical. “A college educated woman will earn almost half a million dollars less that a college educated man.” Or, this, ” All too often, women come out on the losing end.” -Smart Money Oct. 2010. The work for caregivers, and especially mothers, has to be reexamined and we simply must find better ways to financially empower the people who give birth and raise our children. While I don’t see Motherhood as a vocation disappearing anytime soon, we do need to be ‘green’ in our thinking and wary of our planet. We need to find ways as women to empower ourselves and give up on the notion that becoming a mother is that thing we do when we don’t know what else to do. And, if and when our destiny is so blessed as to procreate, let’s not forget that we are first and foremost, people. Women specifically, who had a life before our children were born and will have a life after our children are grown, and that each of us has one precious life that is ‘our’ life. It should never be forgotten or neglected. We much keep our own candles burning in the midst of reflecting others. 3) My last and third point in this article is this; I am tired. I have been carrying this ‘Circus Without A Tent’ across America and the world with every breath I take, every day, day in and day out, since 1997. When I became an event coordinator and then a businesswoman, and finally a publisher and promoter, media mentor and then a graduate student, and finally the biggest piece of all – which is finding the next-stage physical home for the Museum Of Motherhood. I can honestly say, I am physically, mentally and emotionally spent. I’m moving forward cautiously and slowing into the 2015 season. I love what I do. I love the women I work with. I love bringing beauty, music, empowerment and community experiences to the planet. I’m just not sure how to keep doing everything as I have been, so I’m looking for some new ideas, welcoming small miracles and continued strength and yes…. I need some help. Thanks to Zhen Heinemann from Riverside Park South for helping to coordinate the New York City event this spring. I’ve known Judy Davids for the better part of four years now. We might have gone a little longer without a connection if The Wall Street Journal hadn’t done an article connecting Mom Bands across America. I consider Judy and The Mydols as one of the Fab-Five — The original pioneers of this genre. Those first bands were: Housewives On Prozac, The Mydols, MotherLode Trio, Placenta and Frump*. When I first heard Judy was writing a book about her experiences as a Rocker and a Mother, I wasn’t the least surprised. Judy’s always gone out and done exactly what her heart told her to do. If she hadn’t then The Mydols would never have formed in the first place. It was Judy who got the crazy idea, that her forties would be the most Rockin’ yet, and she started asking around the soccer field if any other Mothers might wanna join up. She started playing the guitar at a time in life when many women decide it’s time to buy clothes with elastic waistbands and go into hiding for a slow fade off into middle age. 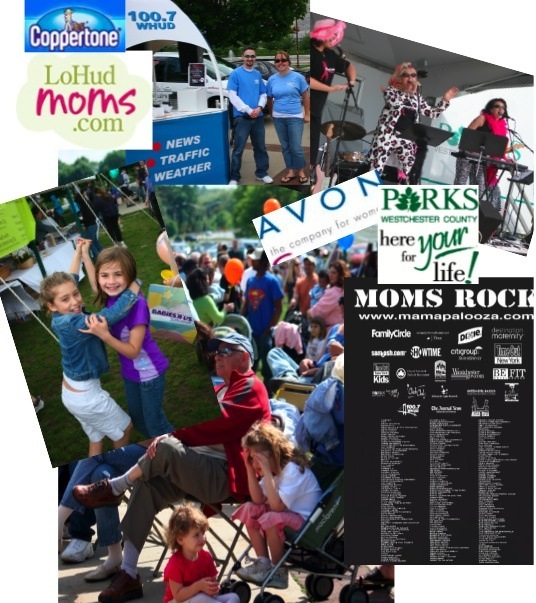 Rock Star Mommy chronicles Judy’s journey from Soccer Mom to Rocker Mom and you can count me as one of her biggest fans. She’s not only the event coordinator four years running for the Detroit Mamapalooza Festival, but she’s garnered consistent media, print, and tv interest as a lively and fascinating example that we are able to reinvent ourselves in the direction of our dreams.